Just like the NFL Draft, College Football’s National Signing day is the opportunity for teams to upgrade their teams for getting better and a focus on the future Although it’s not guaranteed that most of these recruits will start their freshman year, it’ s a chance for them to make a strong impression on the college level along with the most important reason why they’re going to college: To get an education. 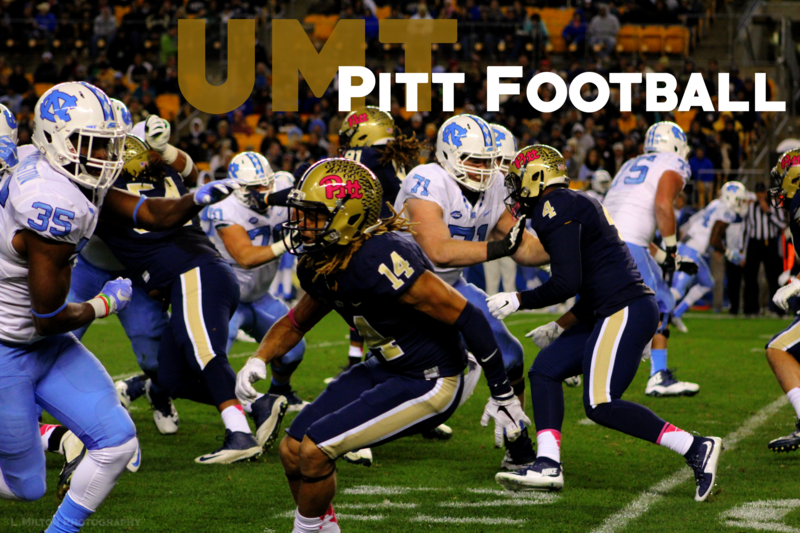 The Pitt Panthers are an example of those teams who’re looking to get better after posting consecutive 8-5 seasons under head coach Pat Narduzzi. 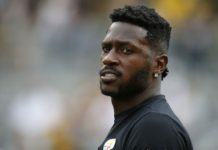 They are faced with not just adding young men for their future, but also for replacing several starters who have either graduated or left early for the NFL Headlining those names are RB James Conner, who left early for the NFL, and seniors Nate Peterman, TE Scott Orndoff, DE Ejuan Price, and LB Matt Galambos. The Panthers took a step in improving their team when they announced Wednesday that 26 young men will join their team for 2017 and beyond. Each of these recruits made it official that they will become Pitt Panthers. It’s no question that the top recruit is AJ Davis, a 6-0, 205 RB out of Lakeland Florida. The 4-star recruit chose Pitt over fellow Atlantic Coast Conference teams Louisville and North Carolina. selected an Under Armour All-American, David rushed for 5,398 yards during his Lakeland career. As a senior, he compiled 1,498 yards on 187 carries (8.0 avg.) with 16 touchdowns. he’s the only player in Lakeland history to lead team in rushing four consecutive years. Davis was also Polk County’s leading rusher in each of his final three seasons. While playing under Coach Bill Castle, Davis led team to a three-year record of 28-7 (.800) with Florida Class 7A playoff berths each season. in seven career playoff games, Davis rushed for 1,195 yards, including a 231-yard effort on just 14 carries (16.5 avg.) in an opening-round game his senior year He was named Associated Press Florida All-State Class 7A and The Ledger Large School Offensive Player of the Year He was named to the ESPN 300 (No. 140) and Rivals 250 (No. 247) He was rated the nation’s No. 14 running back prospect by ESPN and Rivals, No. 21 by 247Sports and No. 28 by Scout. He played in the 2017 Under Armour All-America Game played in Orlando, helped Team Armour to a 24-21 win over Team Highlight. At his Wednesday news conference, Davis brought back memories of LeBron James when he announced that he would be “Taking his talent to Pitt” while donning a blue Pitt cap with his family standing behind him. Davis will compete with current Pitt players Quadree Ollison, Darren Hall, and Chwntez Moss. Also on offense, the Panthers added a graduate-transfer from USC in QB Max Browne who has one season of immediate eligibility remaining and will participate in spring drills. In his three active seasons with the Trojans (2014-16), Browne completed 69-of-112 passes (62%) for 650 yards with two touchdowns and two interceptions in 18 games. In 2016, Browne played in nine total games, starting the initial three contests of the season, and completed 58-of-93 passes (62%) for 507 yards with two TDs and two INTs. He was a highly-decorated prep quarterback at Skyline (Wash.) High School…honors included Gatorade National Football Player of the Year, USA Today All-USA Offensive Player of the Year, Parade All-American, ESPN 150, Rivals 100 and Scout 100. Some may feel like Browne has the inside track at winning the starting job for 2017, but he will compete with QB’s Ben DiNucci, Thomas MacVittie, Bo Schneider and Manny Stocker. 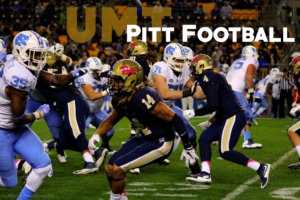 One of the areas that Pitt hopes to continue improving on is their defense, especially in their secondary with the addition of Pittsburgh product Paris Ford. The 6-0 175 bound defensive back Drew accolades as one of the nation’s elite prospects. He was selected an Under Armour All-American, rated the country’s No. 5 safety by Rivals, No. 6 by Scout and No. 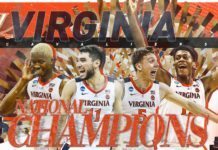 7 247Sports. As a senior at Steel Valley, Ford was highly decorated and productive on both sides of the ball as he scored 22 touchdowns five different ways—by rushing, receiving, interception return, punt return and fumble return. He had an incredible 2016 with six interception returns for TDs as a senior. 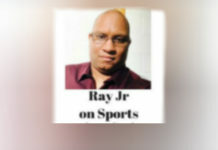 The Pennsylvania Football Writers selected him All-Class 2A as a defensive back, while Pennsylvania Football News honored him with the same designation as a wide receiver. He was named to the Pennsylvania Football News 2016 #Team PA, which recognized the best players in the state regardless of school classification. Ford was the Pittsburgh Post-Gazette Class 2A Player of the Year and was named to the Pittsburgh Post-Gazette “Fabulous 22” …Pittsburgh Tribune-Review “Terrific 25”. he led Steel Valley to a 15-0 record, the WPIAL Class 2A championship and the school’s first PIAA title. He was named to the Rivals 100 (No. 51), Top247 (No. 66), ESPN 300 (No. 68) and Scout 300 (No. 69) Ford was rated the nation’s No. 4 “athlete” by ESPN and rated one of Pennsylvania’s top three overall prospects by ESPN (No. 2), 247Sports (No. 2), Rivals (No. 3) and Scout (No. 3). Ford may have the greatest chance at starting position as the team desperately needs cornerbacks. Ford will be competing with Avonte Maddox, Reggie Mitchell, Terrish Webb and Dane Jackson among others. With the goal of replacing Orndoff, the Panthers added TE Tyler Sear from New Castle, Pa. (6-4, 245). He excelled as a pass catcher and blocker at Neshannock and was named to the Pennsylvania Football News 2016 #Team PA, which recognized the best players in the state regardless of school classification, Pennsylvania Football News All-Class 2A (first team). Sear was named to the Pennsylvania Football Writers All-Class 2A and led the Lancers to a 12-2 record, the Midwestern Conference title and the first WPIAL championship game appearance in school history He compiled 27 catches for 364 yards (13.4 avg.) and three touchdowns. As a defensive end, he had 45 tackles, two sacks, five passes defended and two fumble recoveries. He was rated the No. 14 overall prospect in Pennsylvania by 247Sports, No. 19 by Rivals and No. 21 by ESPN and played under Coach Frank Mozzocio. Sear will compete with Chris Clark, Zach Poker, and Andre Schifino for the starting TE spot. Kamonte Carter DL 6-4 300 Germantown, Md./Gaithersburg H.S./East Mississippi C.C.